We recently worked with our partners over at Marketing Refresh to help Genisys Global, an IT company, transition to a more updated visual identity. 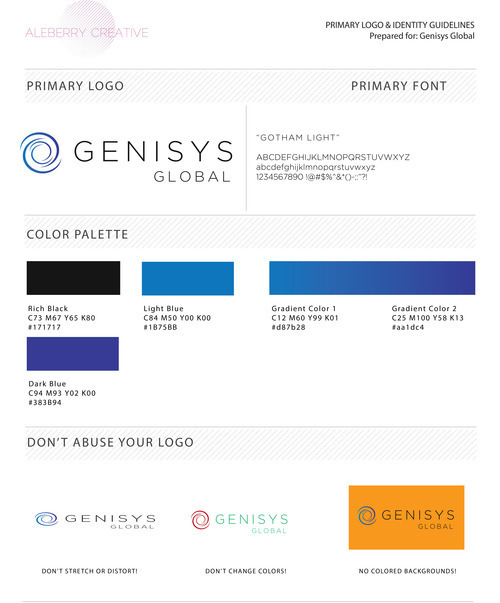 As an already established brand, Genisys Global required their new logo to be more of a refresh and update rather than a complete new design. The logo needed to maintain the circle icon & blue color, while looking clean and professional. With an updated icon and color scheme, Genisys Global has a more up to date look and feel to match their company’s values. Thanks for another great project Marketing Refresh!